The LRC Story Continues Because of YOU! In 2017-2018, LRC experienced severe damage from Hurricane Irma, delayed or diminished implementation of fee-for-service contracts and two months of lost income. LRC was able to validate its value, need, and importance to the community through YOUR support, efforts and help. United Way, and a GiveWell Community Foundation funder, 436 beginning or struggling Kindergartners engaged in interactive activities, increasing vocabulary development by an average of 7 months (quite a feat for a 5-year-old), social skills, listening, following directions, critical thinking and working with others. LRC Summer Success camps, partnering with Public Education Partnership, McKeel Academy, United Way, and All Saints Academy, again could offer enrichment and remediation in reading, math, and science serving more than 113 students at three sites in Winter Haven and Lakeland. Another 655 students received 1-to-1 academic tutoring or small group instruction since Sept. 2017, in addition to over 850 served through various contracts. We are almost there! Two generous funders from GiveWell Community Foundation heard of LRC’s brave struggle these past months and offered a challenge. 1st Round: LRC would need to collect $20,000 by May 31st, and a $20,000 match would be donated. Because of YOU…we did it! 2nd Round: If LRC could collect $40,000 by October 31st, another $20,000 would be contributed. Would you share our story with someone you know? Simply sharing our story with someone who may be able to support LRC in reaching this goal, could be the factor that ensures access to programs for our students—children and adults—for years to come. To help, it’s EASY— just visit LRCpolk.com/donate. 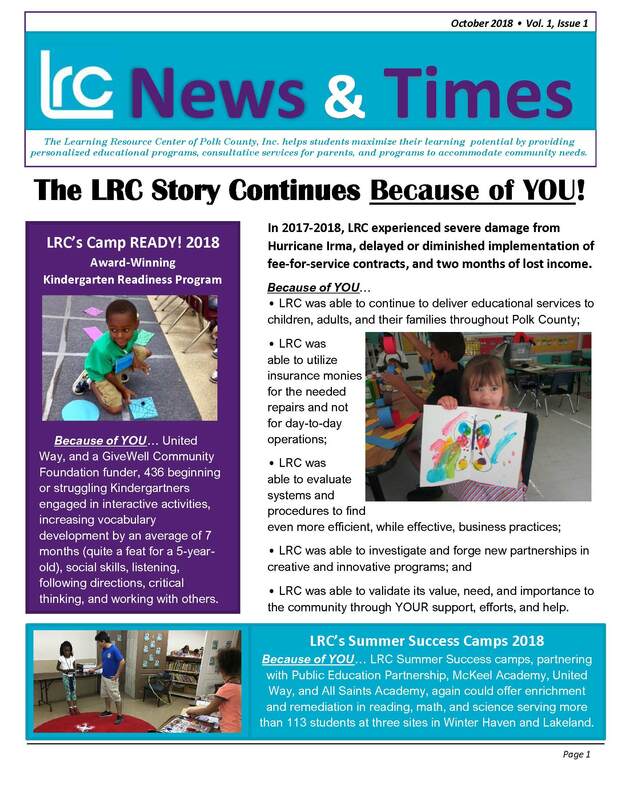 Click here to download LRC’s October 2018 newsletter. LRC seeks certified teachers and paraprofessionals for 21st Century After-School Adventures programs in Poinciana. The programs will begin on Tuesday, September 18, 2018, so please be sure to reach out to us as soon as possible if you are interested and meet the requirements. Certified teacher duties include, but are not limited to, supervision of students and implementation of project-based learning lessons as prescribed by the program coordinator. Paraprofessional duties include, but are not limited to, student supervision, implementation of pro-social behavior and physical activity curriculum, as well as additional enrichment activities as approved by the program coordinator and school principal. The work schedule is 2- 2.5 hours per day, Monday-Thursday or Monday-Friday, depending on the site. The certified teacher pay rate is $20 per hour and the paraprofessional pay rate is $15 per hour. Bilingual/ESOL desired. 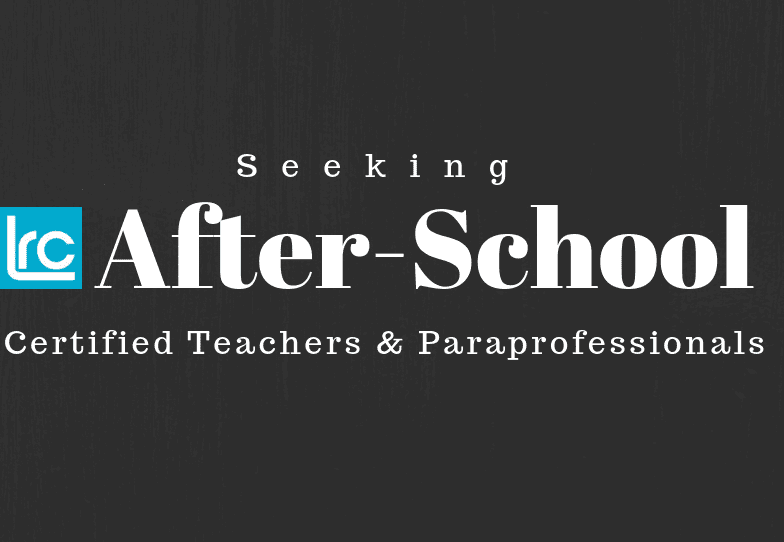 If you are a current, certified teacher or paraprofessional and interested in an opportunity listed above, please don’t hesitate to give us a call at 863-688-9477 or email us at GraceV@lrcpolk.com. We need your assistance! Find Polk County Public School dates including first and last days, student holidays and early release days here! Interested in assessment dates for the 2018-2019 school year? Scroll down for a list of significant calendar dates affecting your PCSB student. 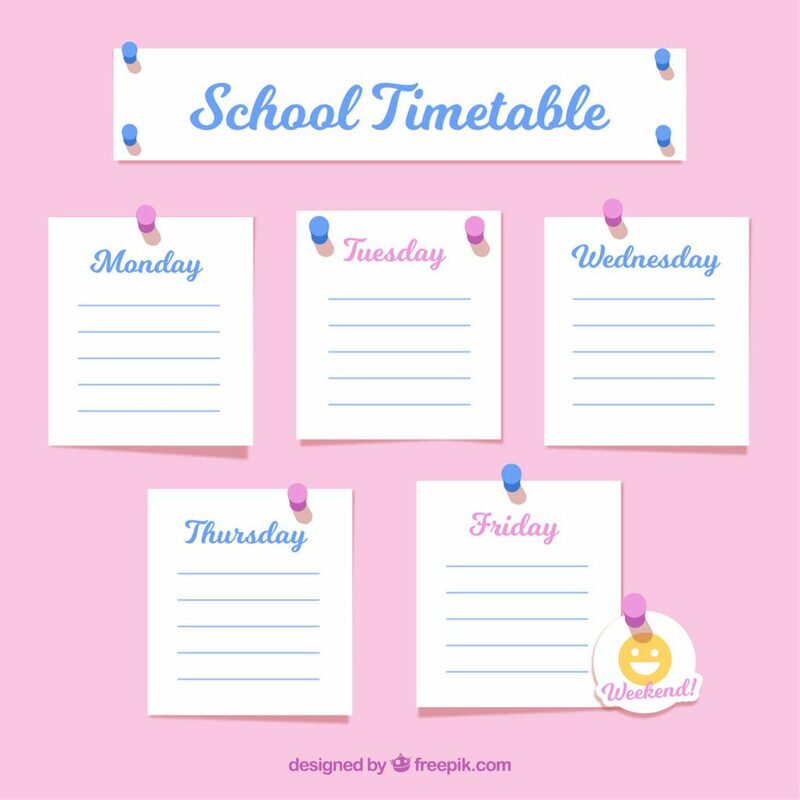 For more information on the school calendar, upcoming events or Polk school information, please visit the Polk County Public Schools website where we obtained this information. Click for more Polk County testing information. If you feel that your child needs help preparing for these assessments, please do not hesitate to contact us to set up One-to-One Tutoring. It’s that time again! Find 2018 back-to-school bashes and donation drives in Polk County by scrolling below. When: Wednesday, August 1, 1:30-2:30 p.m.
What: Gear up for school, and get ideas on how to fuel your kids with healthy snacks that are affordable, easy, and delicious with this free event from UF/IFAS Extension Polk County Family and Consumer Sciences. There will even be food demonstration!! When: Wednesday, August 1, 6-8 p.m.
What: This free back-to-school event by the Gibsonia Baptist Church includes games, food and fun. When: Friday, August 3, 10 a.m.-1 p.m.
What: The carnival is $10 for adults and free for children 10 and younger. The proceeds will benefit the Alzheimer’s Association. Ticket purchases will include a plate of food (ribs, sliders and sides). Attendees will find a petting zoo, dunk tank, games, face painting, water balloon toss and ice cream truck. The first 30 children will receive a backpack filled with school supplies. 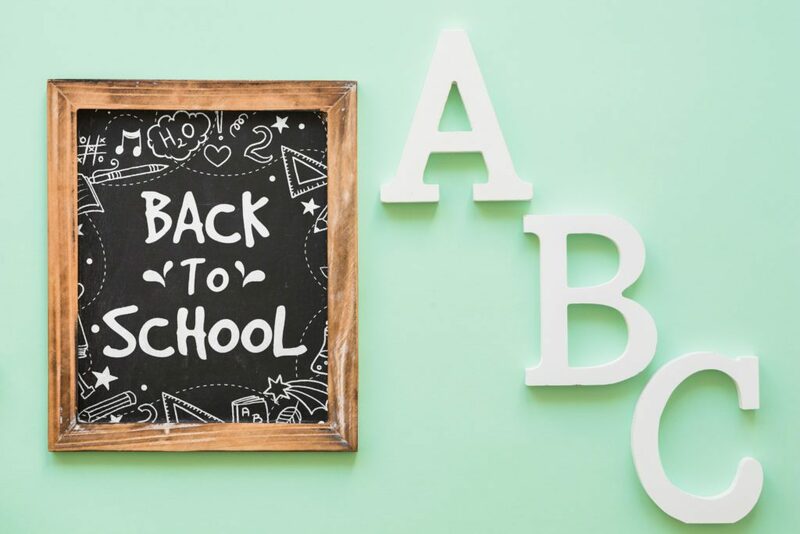 When: Friday, August 3, 6 p.m. – 9 p.m.
What: Join the Downtown Lakeland Partnership, MidFlorida & St. Leo University as well as community vendors in celebrating the start of a new school year with school-themed activities. First Friday features free family-friendly entertainment, activities, live music, art receptions, a car show, and the opportunity to check out a great, locally-owned restaurant or retail establishment on the first Friday of each month. When: Saturday, August 4, 10 a.m.-12 p.m.
What: Join Polk County Parks & Recreation for this free family event featuring free school supplies for children entering kindergarten through the fifth grade (first come, first served). Families will also enjoy music, arts & crafts, prizes, educational exhibitors and children activities. When: Saturday, August 4, 10 a.m.-2 p.m.
What: Learn about Florida Technical College’s programs while enjoying live music from Hot 101.5, exhibitors, campus tours, free food, family activities and free backpacks with school supplies kits. Contact: Make your reservation at evenbrite.com/e/back-to-school-community-expo-tickets-47555133685. What: This event is free, but donations are encouraged and will be accepted. Attendees will be able to enjoy food, games, prizes, music, entertainment, face painting, raffles, a bookbag giveaway and more. What: New Horizon Church’s free event for children in preschool through fifth grade will feature bounce houses, activities, games, crafts and foods. When: Saturday, August 4, 11 a.m.-2 p.m.
What: The Heart of Florida Arbor and the Ministerial Alliance will be distributing backpacks (pre-registration is required) and hot dogs to celebrate the start of a new school year. Bounce houses and more will make this a fun event. When: Saturday, August 4, 1-5 p.m.
What: New Beginnings High School is hosting the annual Summer Palooza event so that families and children will have the necessary resources to go back to school. New Beginnings’ Summer Palooza will provide necessities along with educational guest speakers, a warm meal, and entertainment throughout the morning. When: Tuesday, August 7, 3-4 p.m. When: Friday, August 10-Sunday, August 12, 4-8 p.m.
What: Bring the entire family to this free community event featuring giveaways, free backpacks, free haircuts, a health fair, hot dogs, cotton candy, bounce houses and more. When: Saturday, August 11, 10 a.m.-2 p.m.
What: Kick off the start of school with a Moana meet and greet, waterslides and the pool fun in Mulberry. When: Saturday, August 11, 10 a.m.-1 p.m.
What: This free community event is a great opportunity for parents and their children to receive needed school supplies. The bash will include: free backpacks, haircuts and food as well as bouncy houses, guest speakers and a special appearance by Smart Mouth’s Jason Alexander. What: The Belk Charity Sale is a private sale dedicated to supporting local nonprofits. The Learning Resource Center as well as other participating charities and schools will have the opportunity to raise money by selling $5 tickets, and keeping 100% of ticket proceeds. Ticket holders will receive 20% – 70% off of Belk purchases storewide, including special savings on rarely-discounted brands plus $5 off their purchase. The presale takes place August 13-24. Stop into the Learning Resource Center (1628 S. Florida Ave., Lakeland) to pick up your tickets today! What: In preparation for the upcoming school year, Top Buttons is collecting BRAND NEW personal hygiene items for the young ladies in the Wearing Confidence Program! Donate any of the suggested items below (at either of our locations) and receive $5 off any upscale thrift item. What: Miracle Toyota in Haines City is planning to donate 1,500 backpacks to children in Haines City. The dealership has worked with Bethune Academy, Trinity Worship Center and Church Manantial de Bendiciones over the years to make sure students are equipped for success. This year, the dealership will donate additional backpacks for each car that’s sold, but it welcomes donations of backpacks or school supplies from those not looking to buy a car, as well. Stuff the Bus is Central Florida’s largest back-to-school campaign. In addition to the traditional school supplies that are needed such as pens, pencils, wide rule paper, folders with prongs, crayons, markers, backpacks, glue and erasers, you may also donate copy paper, facial tissue, index cards, highlighters, hand sanitizer, zip lock bags, and pencil boxes. What: Amusement park visitors are encouraged to bring new and unopened school supplies to donate to homeless students at Polk County Public Schools, through the Homeless Education Advocates Restoring the Hope program. Standard parking is also free at LEGOLAND Florida during the month of August. What: Advocates for Florida’s foster children have launched a back-to-school donation drive. Donations of backpacks filled with essential classroom items can be dropped off at Mattress Firm locations throughout the state. The drive is co-sponsored by the nonprofit Ticket to Dream Foundation and the Florida Department of Children and Families. Visit mattressfirmfosterkids.org for store locations and more information. Search #LRCback2school on Facebook and Twitter to find more posts, blogs and information from LRC on back-to-school 2018 in Polk County. We are truly grateful for the many votes LRC received during each round of The Ledger’s Best of the Best Polk competition last year. Your nominations and votes awarded us the title of Polk’s 2017 Best Learning & Tutoring Center. The time has come, and the first round of the 2018 competition is taking place now. We’re asking for your assistance again to help us defend our title! The first round began on Sunday, June 10, 2018 and continues through Sunday, June 24, 2018. In this stage, voters nominate the organizations, businesses, people, etc. that they believe best fit each category. Voters can enter nominees for all 150+ categories or just one category daily. We need your help nominating us, the Learning Resource Center, as the Best Learning Center/Tutor for 2018. 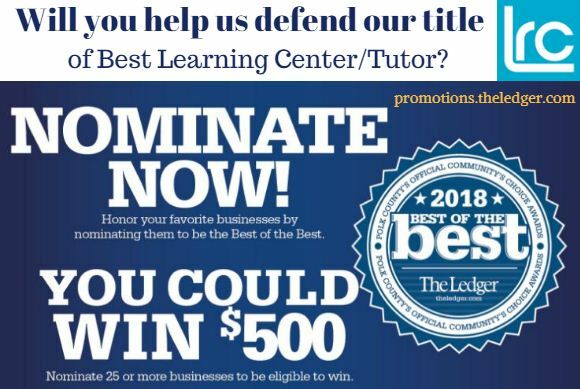 To help us advance to the second round, please nominate LRC daily through Sunday, June 24 under the Kids & Education: Learning Center/Tutor category at TheLedger.com/Contests. Another way to help is by spreading the word to friends, family and co-workers by email, social media, word of mouth, phone and/or any other ways you can think of. We appreciate any help you can lend. As an added incentive, when you nominate 25 or more, you will be entered to win a $500 gift card from The Ledger Media Group. Thanks for your support in this initiative! Join LRC and All Saints Academy for weekly academic adventures at Camp Discovery! Camp Discovery grants students entering first though fifth grade in Fall 2018 the opportunity to examine, inquire and create from the world around them through individual, week-long adventures. These science-themed camps also challenge students to use critical thinking, reading, writing, science and math skills, allowing them to gain and grow important skills in an effort to prevent summer learning loss. Each week presents a new theme that is useful and relevant to students. The remaining two themes are listed below. Dream It, Build It, Win It– Create structures and devices with common and recycled materials for friendly competition. Game World– Design and play board games, carnival games, minute-to-win-it challenges and video games using Scratch and Hour of Code. A new camp runs weekly, Monday through Friday from 9 a.m.-3 p.m. at All Saints Academy located at 5001 State Road 540 in Winter Haven. Select the dates your child would like to attend or register for both! The cost per week is $230. To reserve your child’s place, don’t delay! Do so today by clicking: Summer Programs or call LRC at 863-688-9477 for more details and to learn about our sliding fee scale based on gross family income. Gain Success in Reading at Camp Rockin’ READ! The Learning Resource Center has added a new elementary program to its summer lineup. Camp Rockin’ READ! is designed to help students who have completed grades 1, 2 or 3 enhance their reading, writing and spelling skills using the Orton-Gillingham multi-sensory approach as well as the Barton Reading & Spelling System. The Orton-Gillingham Approach is multisensory, language-based, structured, sequential, cumulative, cognitive, flexible and individualized instruction. Multisensory focuses on visual, auditory and kinesthetic learning, engaging sight, sound, touch and motion within the same lesson. The Barton Reading & Spelling System uses the Orton-Gillingham Approach and also focuses on multisensory learning, aiding students in making connections between sounds and words. Camp will begin Monday, June 25, 2018 at the Learning Resource Center in Lakeland (1628 S. Florida Ave.) and continue for three weeks, ending on Friday, July 13, 2018. The program will take place Monday through Friday from 8:30-11:30 a.m. during that period. There will be no class on Wednesday, July 4, 2018. The cost of camp is $420. LRC does offer a sliding fee scale based on the family’s gross annual income, so the fee may vary. The camp size is small, so be sure to enroll your child today. You may register students online by clicking Camp Rockin’ READ!, in person at LRC or by phone at 863-688-9477. Camp READY! dates are set for Summer 2018, and camps are kicking off soon. If you have a rising or repeating kindergartner, ensure they’re prepared for school and academic success by enrolling them in the Learning Resource Center’s annual kindergarten-readiness program. On average, Camp READY! students have shown growth of four to seven months from pre- to post-assessment in just four weeks. Through hands-on, experiential learning centers lead by qualified teachers, students will experience learning that is fun! With art, music and movement, cooking, and reading-readiness centers, Camp READY! builds pre-reading skills while also providing a safety net to allow children more time to continue motor, social and cognitive development. Teachers will engage students in themed, rich language-laden lessons, while also providing learning opportunities for parent involvement at camp and at home. The program is designed for students entering or repeating kindergarten in August 2018. The cost of camp is $25 for the entire month and includes a shirt. Camp will wrap up with a parent program on the final day, where parents will be invited to watch their child in a performance showcasing what they learned at camp. To register your child before spots are filled, please click on your desired campsite below, call LRC at 863-688-9477 or stop in at the LRC office located at 1628 S. Florida Ave. in Lakeland. *Camp READY! at All Saints Academy is at maximum capacity. Summer break is here! It has been shown that the majority of students may lose about two months of skills during the summer (summerlearning.com). Don’t let summer learning loss or the “summer slide” affect your children! Join us in programs suited for kindergarten through high school levels. Rising and repeating kindergartners can gain the skills necessary for school at Camp READY! featuring multi-sensory learning experiences in an engaging format at nine locations throughout Polk County. Camps will take place for four weeks during June 4-July 27, 2018. Dates and times vary by site. The cost is $25 for the entire month. Elementary students have multiple academic enrichment options with Camp Discovery at All Saints Academy in Winter Haven, PEP Super Summer Science Camp at the Public Education Partnership Center in Winter Haven and Super Summer Success at South McKeel Academy in Lakeland, all beginning on June 4, 2018. Program dates, times and prices vary by site. Camp Rockin’ READ! is another option for students who have completed grades 1, 2, or 3. This program features the Orton-Gillingham multi-sensory approach and Barton Reading & Spelling System to enhance reading, writing and spelling skills. Camp Rockin’ READ! will take place June 25-July 13, 2018 (no class July 4) at the Learning Resource Center in Lakeland for $420. Middle school students will become more effective learners through time-tested strategies with Study Habits of Successful Students at the Learning Resource Center on July 9-13, 2018 for $155. High school students will gain effective study techniques, leadership skills and service opportunities with Get REAL! taking place at the Learning Resource Center on July 9-13, 2018 for $175. High School students may also benefit from LRC’s summer test preparation courses designed to help students achieve confidence while earning their best possible score. ACT Summer Prep takes place July 16-20, 2018. SAT Summer Prep begins July 23-27, 2018. GED Prep runs for four weeks per subject with Social Studies launching May 22, 2018, Science on June 26, 2018 and Language Arts on July 31, 2018. All will take place at the Learning Resource Center. The cost of each full ACT & SAT course is $575 and includes a book and a gift card to Starbucks or Chick-fil-A. GED Prep costs $25. Students must take a pretest prior to enrolling in GED Prep. LRC offers a Sliding Fee Scale based on gross family income with the assistance of United Way. For questions or to enroll in any of the courses, please click on the program heading above or call 863-688-9477. The Learning Resource Center of Polk County (LRC) has successfully reached its goal during the first phase of the matching fundraiser. In this initial stage of a two-step matching campaign, LRC needed to reach a goal of $20,000 by May 31, 2018 in order for a funder(s) of GiveWell Community Foundation to match the amount, dollar-for-dollar. LRC has attained the first stage with the help of numerous donors. Now, the 43-year educational organization has entered the second phase consisting of a 1:2 match of $20,000. To receive the additional $20,000 from the private funder(s), LRC must raise $40,000 by September 30, 2018. If LRC succeeds in both matches, the organization will have raised $60,000 and will receive a matching amount of $40,000, earning $100,000 total over a six-month period. Today, LRC’s small staff and volunteers strive daily to continue coordinating services for 3,500 plus students, ages five through adult throughout Polk County. Join the effort to save the Learning Resource Center, a one-of-a-kind nonprofit agency, to continue to help students maximize their learning potential and keep hope alive for current and future students. The gift of education is a gift for life! Donations will help provide academic assistance to students in need, make it possible for LRC to employ highly-qualified tutors, and enable LRC to meet the needs of students, parents and the community by aiding with the expenses of daily operation. The effect of this fundraiser will reach every aspect of the nonprofit organization. Help the Learning Resource Center and local students with more impact. My child learned so much this summer in Camp READY! Her first weeks in kindergarten have been smooth sailing because of the practice she got in LRC's Camp READY! program. I highly recommend this experience to any parent with a rising or repeating kindergarten student. © 2015 Learning Resource Center of Polk County, Inc. All rights reserved.